Rafah, Palestine; Rafah, Egypt. The city of Rafah, some 30 kilometres south of Gaza City has been divided since 1982 under the terms of the 1979 Israel-Egypt peace agreement. The 1979 treaty gave Israel the right to control a small strip of land located between Egypt and Gaza, the Philadelphi Route, that cuts the city into two. It used to be possible to cross the border between Egypt and the Gaza strip. However, since the Oslo agreements in 1995, crossing it officially has proven being extremely difficult. Israel withdrew unilaterally from the Gaza strip in 2005, handing over border control to Egypt. The fall of Mubarak last February wasn’t followed by any change regarding the border issue. The fall of Mubarak last February wasn’t followed by any change regarding the border issue. The Keshta family lives on both sides of the border. 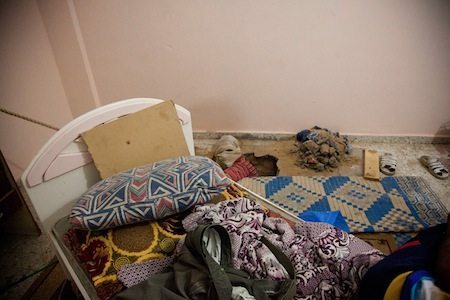 They are all originally from Rafah, but the border has separated the family members. 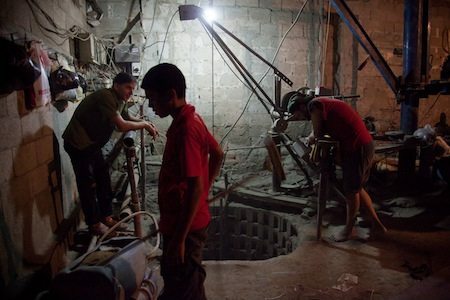 Most of the men work in the tunnels, which is an informal way to stay in touch with their Egyptian relatives. Keshta women are in charge of the children. Working in the tunnels is very dangerous, yet they have no other choice than to send their sons. Three years ago, they turned their garden into a tunnel to improve their economical situation. Oum Ahmed Keshta lives in the Philadelphi corridor with her husband and six children. Three years ago, they turned their garden into a tunnel to improve their economical situation. Her sister, Safaa Keshta, lives on the Egyptian side. They haven’t seen each other since her sister’s wedding in 2004. Only a few metres from Safaa lives Oum Bilal Keshta, another member of the Keshta family. From her rooftop, she can see white tents and tunnels. And, in the distance, on the other side of the border, clothes hang to dry in the open air. 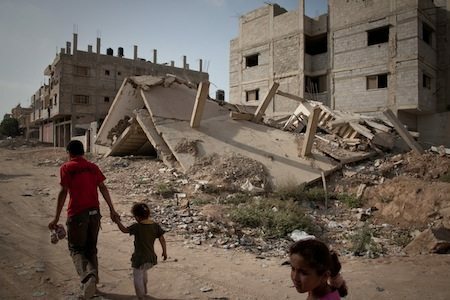 Many buildings were destroyed during the last Israeli attack on Gaza in December 2008 during which Rafah was strongly targeted. 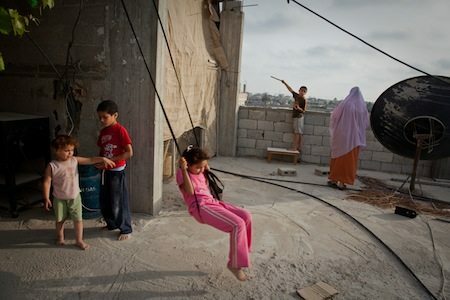 The Keshta family, originally from Rafah, is now divided between Egypt and Gaza. Oum Ahmed’s sons work in the tunnel business. Their garden, very close to the border, was converted into a tunnel. Mohamed Keshta works in the tunnels 10 hours every day for $13. Oum Soleiman praying at home. Soleiman built a tunnel with his friends. It connects his bedroom with Egypt. 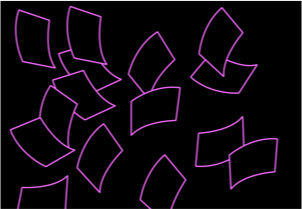 Through it, they bring back some cigarettes and other products, and occasionally visit their relatives. Rafah, Egypt. Oum Soleiman’s sister prepares a meal with some other women of her husband’s family. Oum Mohamed, Oum Soleiman’s sister lives in Egypt. She doesn’t have any opportunity to go to Gaza and visit her family. 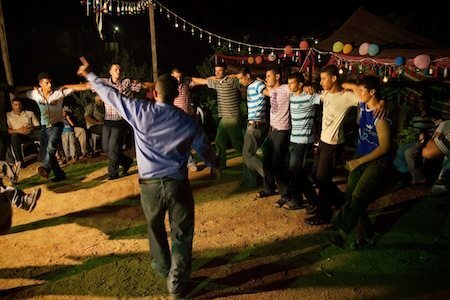 Henna’s night, before the wedding of a young Keshta boy in the Gaza strip. Some of his cousins came from Egypt through the tunnels. Pauline Beugnies is a documentary photographer and a member of Out of Focus photography collective. I’m writing this from Santa Fe NM in the US . . . Through reading stories from Rafah and Gaza, about the hardships of families in both places, I can understand more clearly that the solution to the political problem has to come from the people. It has to improve their daily lives, and their hopes for the future, or what is a government for? Thanks for Pauline’s good work.